Imposing testimonies of the roman engineering and the contemporary everyday life. A real archaeological gem, a visit not to be missed! 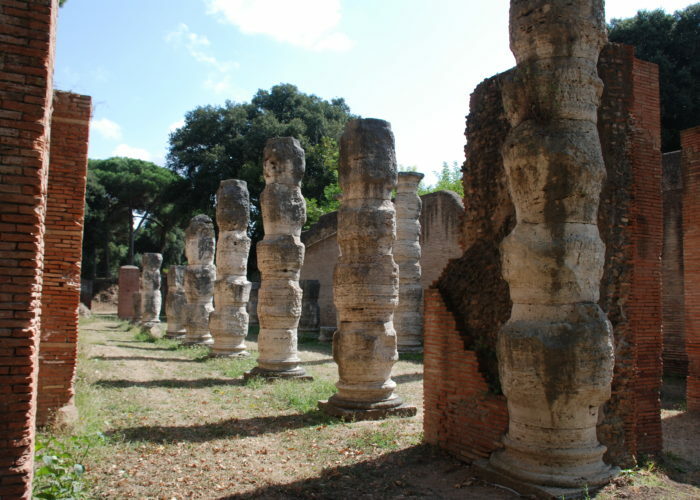 Started by Emperor Claudius in 42 AD north of the Tiber’s mouth, the new port of Rome, inaugurated by Nero, was equipped with warehouses and a monumental portico in travertine columns, and was connected to the Tiber by two artificial canals. 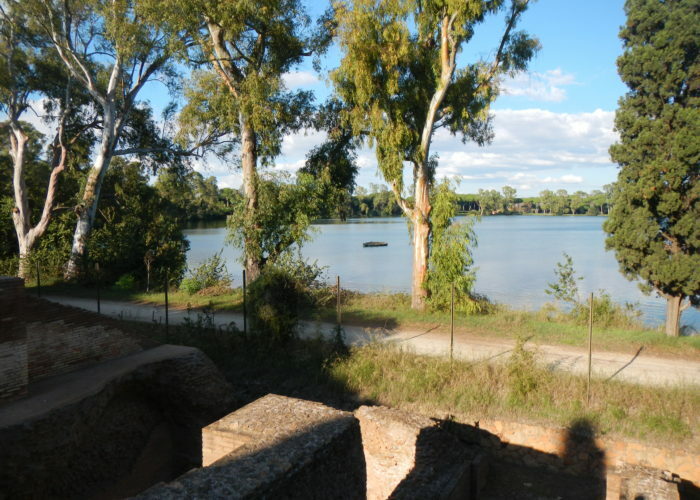 Later on Trajan built a new plant, excavating an innermost artificial basin, hexagonal in shape and 5 m deep, communicating with the river and the old Port through an artificial canal, the Fossa Traiana (today’s Fiumicino canal). 200 ships could moor inside. Besides large warehouses and porticoes, the complex was completed by a magnificent residence, used by the imperial family when departing by sea. Main commercial center of Rome from the II century on, the Portus Traiani, was fortified against sea invasions and pirates from the IV century, remaining in use until the IX, when it was finally destroyed. 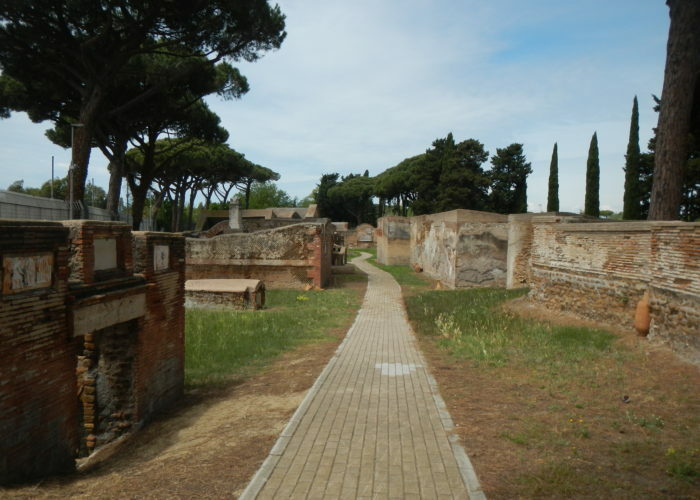 Necropolis Portuensis: Along the road from Portus to Ostia a burial ground develops from the age of the Flavians who constructed the paved road along which the tombs groups are arranged. Brickwork facades are adorned with pilasters, pediments and cornices. Inscriptions and decorations reveal an important fresco of the family, social and professional life of the whole community. Numerous burials in the ground, in amphorae, sarcophagi and brick covered, are also still visible.